Animated Views turns ten this week. When we launched on October 18, 2003, I’m not sure any of us could have conceived that we would still be going strong a decade later, especially considering the rush we were in as we only had a few days to get everything up and running. But the story of how this site came to be actually starts four years earlier than that. From the time fifteen year old Olivier Mouroux made his first trip from his home in France to the United States and Disney World, he was hooked on animation. I remember being glued to the hotel channel in the morning before hitting the parks, waiting for The Little Mermaid trailer to play since Disney films only came out a year later at Christmas time in France. In the late 1990s he also got hooked on the Internet. Both passions obviously collided. While surfing the web he would become increasingly frustrated to see amazing animated art and incredible interviews with talented artists just disappear. So he did what any cartoon-loving tech-geek would do and started capturing everything he could about every major animated film from the 1930s on and then cataloging it by studio and filmmaker. After you’ve done that you might as well start tracking current animation news as well to add to your database. All this work was done for his own enjoyment, and none of it was published on the web. Around 1999, while reading Premiere Magazine he saw a fascinating story about the sequel to Toy Story and was surprised none of the sites he followed on the Internet had picked up on it. After some hesitation, he decided there were probably others out there that would be interested in this stuff and if they weren’t going to post it he might as well be the one to do it. So he uploaded the information he’d been collecting for all to see and sent a link to the popular entertainment site Ain’t It Cool News. They published a great article about it, driving thousands of people to the new site which he named simply “Animated Movies”. From there I felt a responsibility to keep Animated Movies up to date with fun daily news, insights on the industry, and trivia on past films. I would religiously get up every morning, grab a cup of coffee, and go through my emails and favorite sites and search engines to collect news for the day, which I would post right away before going to work. The site’s design was very clunky but it did the job. One of the earliest followers of Animated Movies was Ben Simon. Ben had been an animation fan since he was a lad and became enchanted while watching his father’s collection of 8mm Walt Disney Home Movies. His dad began working at the Elstree Studios in the late 1970s when it was in full swing with The Muppet Show, a couple of the Henson movies, as well as the original Star Wars and Indiana Jones trilogies. I was given a Kermit puppet by Jim Henson and encouraged to make my own 8mm puppet films, which I still have. Moving to video in the late 80s, I began trying out how that technology could be pushed in terms of visuals, but didn’t actually make any movies for a while, until a short I did in 1993, The Message, won a couple of international festival awards. During summer vacations he began learning film and tape based editing, as well as trying out one of the first digital computer suites, and was able to eventually leave school, go freelance, and save up enough money to start a small company. But animation was still in his blood. I wasn’t an animator, but I understood the process and, even at that point, everything I did had some special or visual effect element to it, from a flying car in The Message or an animated monkey peeling itself off a cartoon-drawn wall and performing with the band in an early music video I directed… but in 1993 I was struck by Tim Burton’s film The Nightmare Before Christmas and instantly wanted to write the next big stop-motion musical, as one does! I went to work on a new treatment of Hans Christian Andersen’s The Emperor’s New Clothes, collaborating with a composer friend of mine on the songs and score. By a stroke of luck, he ran into a high-level member of the Roger Rabbit crew at the Elstree Studios bar, who offered to get them into Disney. They met with Don Hahn in early 1998, and ran through the storyboards, character outlines and designs as well as the 16 original songs they had written, orchestrated and demo’d. Despite the fact that he felt our lyrics were “witty and clever” and that it was the best version of the story he’d heard told at the Studio, this was the time when Disney was moving away from fairytales and toward darker, more adventure-based and less musicalized films, such as Tarzan, Atlantis and the proposed Kingdom Of The Sun, which was then in production. Don suggested that the project might work best on the stage because of the tangible nature of the original story’s focus on fabric and material and that this might make for some inherently interesting design possibilities, but we were instead re-routed to the DTV department, who were intending to fill the gap left by Feature Animation by producing fairytales direct to home video. The Ugly Duckling was to be the first, but when that hit story problems, the idea of first-run DTV musical fairytales fell by the wayside as they continued to work on sequels to the Studio’s major features. In a way, we were content with the choice: a lot of the good things in our story, not to mention half of the songs, would have been stripped away and, after spending five years bringing things to this point and having our grand vision of what it could look and feel like (this was definitely a companion to Mermaid, Beauty, and Aladdin, but with that all-elusive boy-centric hook Disney is always trying to catch), it was probably a good thing the project slipped through the cracks. Now back editing and freelancing in London, he was naturally intrigued when a movie from Disney called The Emperor’s New Groove was announced. At the time he didn’t know the film with a similar title to that of his own pitched project had anything to do with the problem-prone Kingdom Of The Sun. He hit the Internet for any information (“to make sure we hadn’t been ripped off!”), and discovered what he needed at Olivier’s Animated Movies. They began exchanging emails, then CDs by mail of various animated goodies they had discovered. Before long Ben was contributing news items he had found to the site. He also began writing DVD, LaserDisc, and book reviews for another animation website. At the time hosting websites was a somewhat expensive proposition, especially for a data heavy site like Animated Movies. Free webhosts were available who would let you post a site on their servers in exchange for letting them run ads on it. Olivier used a company called FortuneCity. Back then pop-up advertising was very popular among companies, even if it was less so among users. Animated Movies’ content was so deep you could spend an hour reading before you caught track of the time. But despite the amazing content, having a pop-up ad appear after clicking every link got to be a little more than annoying — at least to me! And that’s where I came into the story. I can’t remember a time when I wasn’t an animation fan. My first stuffed animal was Mickey Mouse. I was still watching the Disney Afternoon in college. I saw my favorite animated film, Beauty and the Beast, eight times in theatres during its original run in 1991 — and I still have every one of those ticket stubs sitting in a drawer next to me right now. My first job was a five-year stint at Toys R Us where, before anyone else, I would get the chance to see the embargoed Disney video tapes that were sitting in storage awaiting their release date. Perhaps the most impressive proof of my animation-fan-cred, as part of that job I once was forced to watch The Return of Jafar for eight hours straight while building a display case! One of the managers was an animation fan as well and we would discuss all the latest rumors we had been reading. This was during the pre-World Wide Web days so information like this was few-and-far-between — we would have gone nuts over something like Animated Movies back then! I was also fairly technically minded as a kid. I was a member of the Atari Club in elementary school. I got my first computer, a Commodore 16, in junior high school. Soon I was creating games and programs and saving them to an audio cassette recorder that hooked to the computer. In high school I started a computerized college football rankings, though for awhile my skill level wasn’t high enough to allow me to save the data — I would have to manually reenter scores and records every week of the season! I eventually moved up to Vic-20, a TRS-80, and finally a Mac. Like Olivier, I got hooked on the Internet after using it for the first time in 1994. I quickly discovered not only was it a great source of information, but that with a little technical know-how it was also an amazing way to share your interests with the world and find people with similar passions. In 1996, I created my first website. In 1998, one of my sites was included in the book Best of the Web and mentioned in several magazines. In 2000, my local newspaper did a profile about another website I did. And in 2003, yet another website I ran won a national award. After working on all those sites and trying out several webhosting providers over the years, I eventually found one I was happy with. The plan I was on included more data space and bandwidth than any of my sites needed. In April 2002, I contacted Olivier and told him I would be happy to host his site for free so I — and everyone else — would be able to browse it without the pop-up ads! In the end, he moved the large database to my servers while hosting the current news where he was. Over the next year and a half I helped him with other projects like adding a search engine for his massive archive. In late 2003, Olivier got a call from one of the major animation studios with a job offer in their publicity department. Taking the job meant a significant salary cut and starting my career from scratch, but I had been looking to refocus my career on what I loved — movies in general and animation in particular — so it was a dream come true. I quickly found out that the studio was so annoyed at some unflattering news I broke on the site about their projects over the past 3 years that they figured hiring me would be a civil way to ask me to shut down the site for good, in the name of conflict of interests. I happily obliged since I was actually considering at that time putting the site on hold as it had become increasingly difficult to juggle morning updates, a full time job and my personal life. On October 11th, Olivier emailed me with the news. Animated Movies would be shutting down. Over the next few days, fans showered the forum and his email box with congratulations — and let him know how there was nothing out there that could replace his site. Many people cried to the moon when I announced the end of Animated Movies and were willing to take it over single-handedly! After seeing the overwhelming response I told Olivier that if the people offering their services in the forum were serious, I would be willing to put together a webpage that would allow a select group to continue posting news. He replied that he already had a few people in mind, and thanked me for doing this. I replied that it was the least I could do after everything he had done for us animation fans for all those years. On October 15th — three days before we would launch! — I began setting up the site while Olivier began emailing potential writers. On the 16th, I set up a messageboard so those willing to help out could meet for the first time and discuss how everything would work. Ben joined me at Olivier’s suggestion as a “chief moderator” for the site. Josh Armstrong, one of the readers recruited to work with us came up with the name Animated News. On the 17th, I bought that domain name. Several people submitted logo ideas and on October 18th we finally decided on one created by Christian Ziebarth. As you can imagine, creating a website from scratch in less than a week is crazy! Especially as a lot of it was being done by committee. Going through my email archives from that week, I don’t know if any of us slept! But on the 18th we finally had a working site up and the first posts were made. In actuality we didn’t technically announce the site until the next day. But we wanted there to be a day’s worth of news stories available when we finally told the world that Animated Movies had a successor. Things took off fairly quickly. We were lucky in that we had a built in audience — former Animated Movies readers. But we soon made a name for ourselves. In our first few days we had the first look at Disney’s Home on the Range which got picked up at sites all around the web, including the site that drove traffic to Olivier’s site in his first days, Ain’t It Cool News. Within a year we got our first complaint from a studio, when DreamWorks sent our web hosting provider a DMCA takedown notice when we posted the first images from the upcoming Shrek 2 DVD. During that first year we strictly enforced a news-only policy. No reviews, opinions, or editorializing from our reporters was allowed. Though behind the scenes Ben and I began discussions about whether maybe we should consider expanding to include that. Within just four months of launching Animated News we came up with the perfect name for the idea if we ever decided to do it — a rhyming play on words with our original site: Animated Views. We immediately bought the domain name, but it would be another two and a half years before the idea was realized. In the meantime we considered a merge or partnership with the animation review site Ben was already working for. Despite some management issues they were having, they were considering expanding their site into news and more. We were just starting out but also looking to expand into what would be their turf with reviews. And Ben was in the middle, part of planning for both sites, each of which would seem to complement the other. While it would not only seem silly to expand both to create direct competition, it would seem, at least to me, to be sillier in the fact that I would be directly involved in running both – essentially splitting the time I could offer. Randall Cyrenne, one of Ben’s friends at the other site with whom he was discussing these thoughts, agreed. It did seem preposterous to start TWO similar sites at once, and sillier that the same person would be assisting in starting up each. Randall joined that other animation site in early 2003, eager to do some writing and share his enthusiasm for the medium. It soon became clear that an easy camaraderie existed between him and Ben based on similar interests. Ben and I began to share numerous e-mails and private messages, either about the site or about our views on recent movies, or what we had recently purchased for our growing collections. As we became better friends, we discovered an interesting number of coincidences and things we had in common, such that our favourite film was Superman: The Movie, and that this was also the first pre-recorded videotape that either of us owned. Also, my deep love of Jim Henson’s work bowed to Ben’s own connection with Henson, as he had met him when he was a youngster. Nothing became of the partnership discussion at that time. Animated News continued its focus on “just the facts”. Randall continued writing for the other site, while Ben continued splitting his time between them. But the idea of expanding our repertoire was just to good to let go of. And the problems the other site was having continued to get worse. After a good five year-plus run the other site finally closed its doors to visitors after a steady decline. It seemed everyone was suffering from burn out and a crisis of confidence in the site’s leadership. We simply were not doing the best job out there any more and so a group of our top reviewers, (including myself, Randall, and Rodney Figueiredo), elected to move on. Ben’s enthusiasm for Animated Views won us over, as it showed a stark contrast to the situation at the other site. Until we had them secured we couldn’t have moved along with Animated Views, hence the looooooong run up from 2004. Ben introduced me to James, and the three of us exchanged countless e-mails in preparation for launching the new site. It was at this time that I learned just how much of a perfectionist, and exactly how particular, that Ben could be; but James was his match. I’m easier to please, but hopefully I managed to provide some helpful input. Along with reviews, commentary, and opinion, French blogger Jérémie Noyer joined the Views team, providing something else we had been lacking: interviews. I’m a French teacher and journalist, fan of Disney (I was a contributor specialized in Disney for the first European film music magazine, and a contributor to Didier Ghez’s Walt’s People project). I created a blog, MediaMagic which is devoted to Disney news, told by the creators themselves. I treat all domains of the Walt Disney Company, from movies to parks. Just a labor of love, in order to share my passion with others. In the month leading up to the launch we had slowly started teasing our readers that something big was up. The week before, our forum was flooded with posts from people speculating about the big update. In late 2006, Animated Views finally hit the web. Our readership loved the new site, and our writers loved getting out from under the rules we had imposed on them on Animated News. We ran it as a separate site because at the time we were being very diligent about keeping the news site laser focused on news. Looking back I’m not sure why! It’s a decision we would later revisit. During the summer we were preparing for Animated Views’ launch, some of us joked about meeting up in San Diego at Comic-Con one day. Two years later not only were we at the Con we made it to The Happiest Place on Earth as well! Meeting up is something we’d mooted at here for the several years or so. Being one of those things that didn’t really end up happening, we wondered if we would ever get around to it, but eventually we put out the suggestion more seriously that we all meet up at Comic-Con. We all vaguely agreed to 2008 depending on how things went for us. We’d often spoken of crossing the ocean somehow to meet up. I think I was the first to suggest Comic-Con to Ben a couple of years ago, but had to wait a bit after having a baby. Adding Disneyland to the plan was amazingly an afterthought! Those hints were getting pretty obvious, eh? I’m not going to recap the whole thing here when we already wrote a comprehensive write-up on that trip here. But I will reiterate it was an amazing experience getting to meet up with Randall, Ben, and their families in person. When we started this site in 2003, I never would have guessed what great friendships would be created, and what amazing memories we would make together, despite living worlds apart. Meeting Ben and James for Comic-Con in 2008 remains a highlight of my life only exceeded by that of getting married and having kids. An amazing experience, actually meeting up and cementing firm friendships. I can’t wait to do it all over again. One of our nights in San Diego was spent discussing the future of the site. And despite our noble, if useless, desire to keep fact separated from opinion, combining Animated News and Views was an inevitable plan. Running two sites added more work for us and unnecessary complications for our readers. We also started having problems keeping staff onboard to post daily news updates. If all that wasn’t enough, RSS and social media like Facebook and Twitter were taking the wind out of the sails of a site like ours that provided quick news bites that readers could just as easily get elsewhere now. Animated News was becoming obsolete. Adding a news feed to Animated Views would give people more of a reason to visit while keeping the legacy of our original site alive. This had been long in the planning — even since before James, Randall and myself met up at Comic-Con. And that meeting certainly spurred us to to talk about merging the two front pages some more. And we talked. And talked! Since launching Animated Views in 2006, that site had grown to include more and more DVD and Blu-ray reviews, and a thriving interview program, all of which took our main writers away from the day to day running of the News service, which began to flounder and something needed to be done. It was decided that the work of one front page would be better handled between us and that a merging of the sites would allow us to continue providing the level of animation coverage in various areas that we became known for. One of the biggest decisions we had to make was what to call the combined site. We had been using “Animated News & Views” as a moniker for both sites since 2006, so that was an obvious choice. But the name was a bit unwieldy. “Animated News” was seriously considered as it was the name we were most well known as. In the end, we decided to go with “Animated Views”, and it all came down to punctuation. Olivier’s original site address was “animated-movies.com” — with a hyphen. When we launched Animated News, the domain name “animatednews.com” was already taken. So we stuck with Olivier’s nomenclature and went with “animated-news.com”. When the original Animated Views launched both “animatedviews.com” and “animated-views.com” were available and we snapped up both. But for consistency’s sake, we used the URL with the hyphen as our public address. By 2009, we were sick of that stupid punctuation mark, and having to say it every time we spoke our address: “animated dash views dot com”. 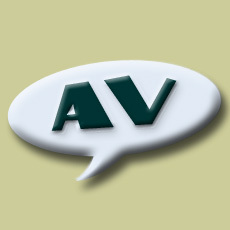 We also didn’t like the way it looked when capitalized as our name, “Animated-Views.com”. Since “animatednews.com” was still unavailable, we decided to rid ourselves of the dash for good and go with the address and name “AnimatedViews.com”. After talking it to death it was make or break time, and we knocked the final bits into shape, going live a few days after our sixth anniversary in 2009. The concept proved successful. The news posting format was easier, visitors who had stuck to just one side or the other came together increasing our total viewership, and running the site became a lot less complicated. The design proved so practical, that other than some minor updates and additions we are still using it four years later. Over the years we’ve done other less ambitious, but still amazing and popular projects. While not up to the standards that Olivier set on his site, an Animated Films Calendar has proven to be one of our top new features. We’ve built an iPhone app. We have a long-running Oscar contest that has given away over $1,000 in prizes over the years. Our forum, also turning ten this year, has been the home of thousands of conversations among thousands of readers. Interactive features like polls and slideshows are a big hit. We’re on social media like Twitter and Pinterest. And an exciting partnership with a young group of animation fans known as The Rotoscopers has us seeing glimpses of ourselves ten years ago in a new generation of up and coming web creators. A decade after beginning, we’re all different people running a very different site. But what hasn’t changed is our mutual love of animation — a passion we share with an amazing audience who we are humbled to serve. Without you, we wouldn’t have made it past the first year. And with your continued support, we hope to be here adding to this retrospective ten years from now. Olivier has gone on to work throughout the film industry for several big names on both animation and live action projects. But animation is my true love and two years ago I was able to go back to the production side of marketing, spearheading publicity for Sony Pictures Animation where I’ve had a kick working on fun projects such as Genndy Tartakovsky’s Hotel Transylvania, Cody Cameron & Kris Pearn’s newly released Cloudy With A Chance Of Meatballs 2 and Stephan Franck’s excellent short The Smurfs: The Legend Of Smurfy Hollow now on DVD and coming to ABC Family later this month. You know I had to end on a shameless plug for animated projects I love — that’s the publicist and animation lover in me! His latest project may be his biggest challenge yet: fatherhood! Co-founders Josh Armstrong and Christian Ziebarth were with us for the majority of our existence, but both have since moved on. Josh now writes for Animation Scoop while Christian can be found at Cartoon Corner. Ben and I still e-mail each other regularly to discuss our collections. As life gets busier with family, I’ve cut back on my review output a bit, but still take pride in offering up my knowledge of animation and helping to guide people in their appreciation of the field. Animated Views is a part of me, and hopefully it always will be. Ben has spent the last year finishing the construction of a new house. He’s also gotten back into “the business”, recently completing a film editing gig in Scotland. After a medical scare going into 2011, I’ve been working on staying healthy and happy with my wife and kids. My daughter who was three when we started the site just became a teenager last week, and my son who was just a month old at launch just turned ten! All of a sudden I’m feeling very old! But I look forward to getting old with you guys!